Nigerian billionaires like their ladies looking beautiful and classy. To ensure this, most of them like to marry ladies who are way younger than them. These women complement what they seem to lack in every way. It is noteworthy that these men do not just marry anyone from anywhere. They mostly choose to get married to women who are accomplished and successful in their fields of endeavour. The women married by these men are usually ex-beauty queens, models and people with high statuses and backgrounds. In most cases, this tradition of marrying younger women is popular amongst Nigerians and it is now gaining credence amongst those of other African countries. 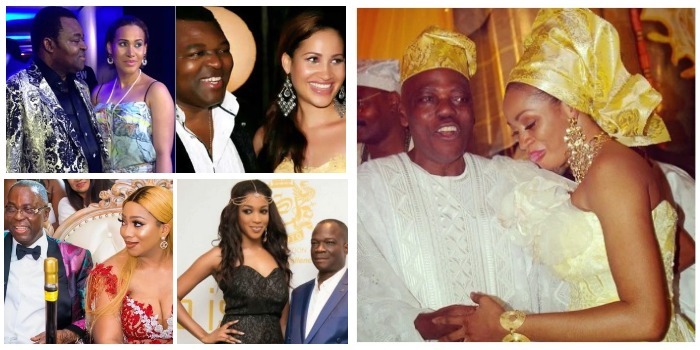 Here are 5 prominent Nigerian billionaires who have married pretty, younger ladies. Rasaq Okoya is a billionaire industrialist whose youngest wife and mother of his 4 kids named Sade Thomas Okoya was only 43 when she got married to her husband in a grand and societal wedding. Rasaq Okoya, on the other hand, was 74. The business mogul was born in Lagos on 12 January 1940 to Tiamiyu Ayinde and Alhajha Idiatu Okoya. He had his only formal education at Ansar-un-deen primary School, Oke popo, Lagos. He is the owner and founder of Eleganza group of companies that has a market spanning Western Africa. According to Sade, her husband did not make any pretence about his age. He saw her, liked her and told her he wanted to marry her. She said she agreed because he was generous to a fault. 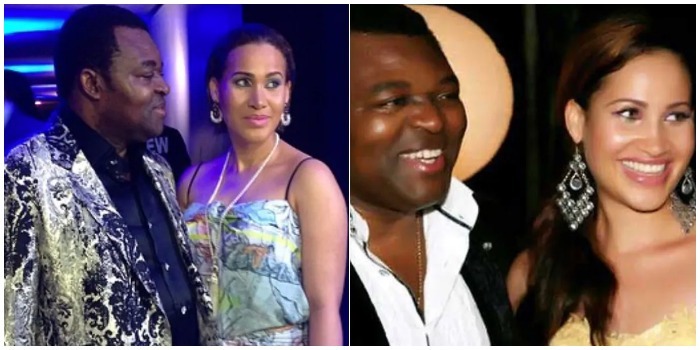 Caroline Danjuma got married to billionaire Musa Danjuma in 2004. 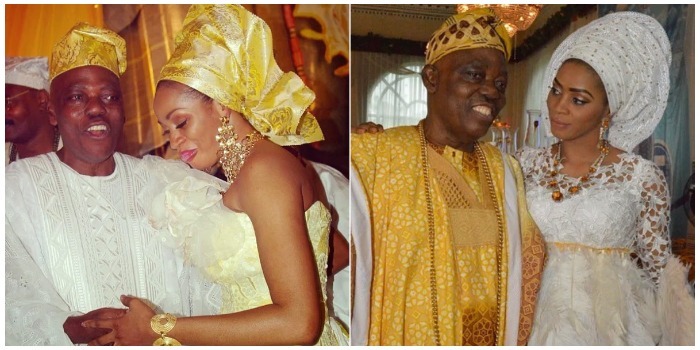 The lady who was Nollywood’s most sought after actress surprised everyone when she said yes to him even though he was 54 and she was 25 at the time they got married. Now, the couple have 3 kids together, 2 Boys and a girl. 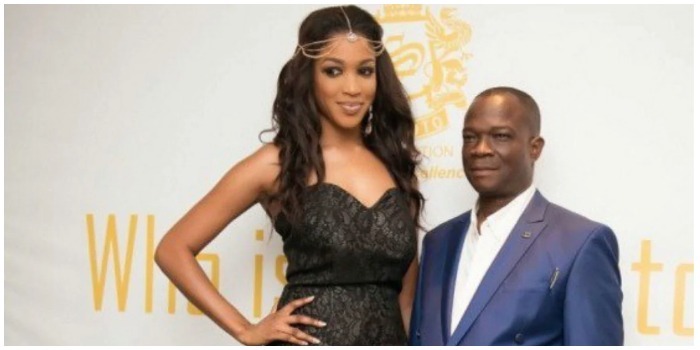 Dabota Lawson, an ex-beauty queen married billionaire businessman, Prince Sunny Aki, in an flamboyant and well-celebrated ceremony on December 13, 2014. The rich billionaire is the the Chief Executive Director (CEO) of Novena Majesty Furniture. He was said to be in his 50’s while Dabota is said to be in her mid 20’s. However, the duo have now gotten divorced. After winning the prize of the most beautiful girl in Nigeria (1994), Susan Hart went on to marry a much older Sunny Olorogun Kuku who, at the time, was a well known medical director who co-owned Eko Hospital. Faith Ikuku is another young, beautiful, fairskinned lady who came into limelight after she married wealthy billionaire Michael Ikuku. At the moment, Faith is 30 while Mike is 62. 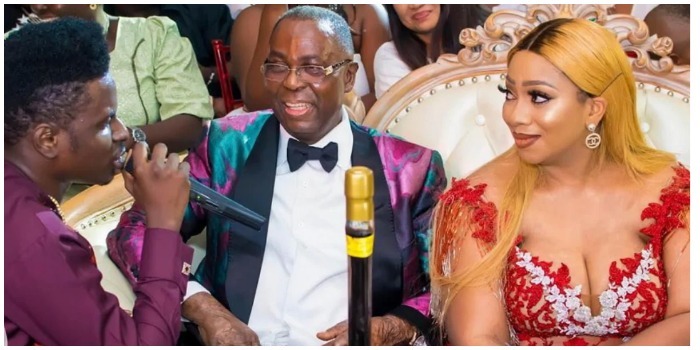 Recently, a rumour that beautiful Nollywood actress Regina Daniels is married to billionaire Ned Nwoko is gaining grounds and getting the attention of many.